One of the most awaited cars of the year is the Toyota Prius 2016. 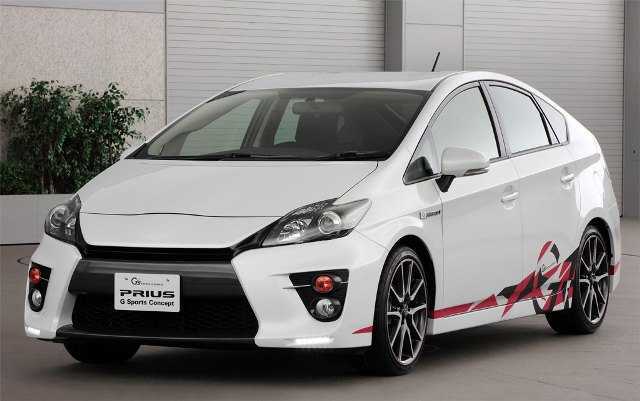 According to the latest reports, the 2016 Prius will be released by the end of the year with improved performance. And spy photos have already caught the Prius, showing the body of the car. Even though the car was heavily camouflaged during its patrol in San Francisco, we still got a glimpse of what the future holds. The Prius 2016 is the fourth hybrid midsize vehicle from Toyota. The first Prius was released in 1997 and since then is known as arguably one of the best hybrids on the market. The fuel-saving car runs on both gasoline and electric power to deliver an efficient driving experience. The new generation of the Prius will have a bigger body, as the length has been increased to 4.55 meters and the height to 1.77 meters. The weight is also down by 100 kilograms, which results in faster and more aerodynamic driving experience. Some of the changes in the design include slanted back window and upright tail. The rounded front, the smaller tires, low wheel base and vertical Kamn back, all go towards attributing a sportier look of the Toyota Prius 2016. As for the performances, Toyota has promised a more efficient vehicle, and the Japanese company delivered a car that should offer 38% thermal efficiency. The Prius 2016 has 55 miles per gallon fuel efficiency and saves 10% more fuel than its predecessor, resulting in a higher EPA rating. The base model of the 2016 Prius will be available with nickel-metal battery, while the premium version will pack a lithium-ion battery. The battery range of the Prius is one of the strongest selling points. According to sources, the new Prius will have around 35 miles of battery range, which will put the plug-in hybrid on the second spot for the highest range among the plug-in hybrids on the market. The current version of the Prius has a battery range of just 11 miles, which is among the lowest on the market. With the upgrade, the 2016 Prius will exceed the Honda Accord Hybrid, the Kia Optima Hybrid, the Hyundai Sonata Hybrid and the Ford C-Max. The popular hybrid was initially scheduled for a spring release, but setbacks delayed the release date for later this year. The Prius is now expected to debut during the Tokyo Motor Show scheduled for September and make an appearance in November at the Los Angeles Auto Show. Production is expected to start in December, with rollout expected early in 2016.